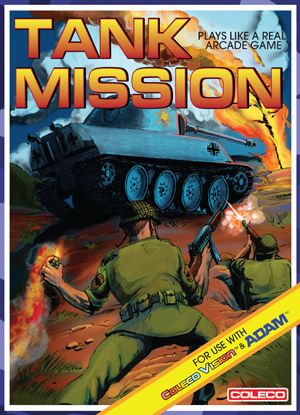 You have to control your tank against hoards of enemy tanks, planes, gun turrets & mines to find your mission objectives and move to the next goal. Next, Jump out of your tank and pick up your Thompson machine gun to storm into enemy bunkers to free POW’s, capture the Enigma machine or steal a prototype stealth plane! Then fly the stealth plain against enemy squadrons, anti aircraft guns and missile launching blimp and destroy all the dread V2 Rockets before landing the plane and returning it to your superiors!